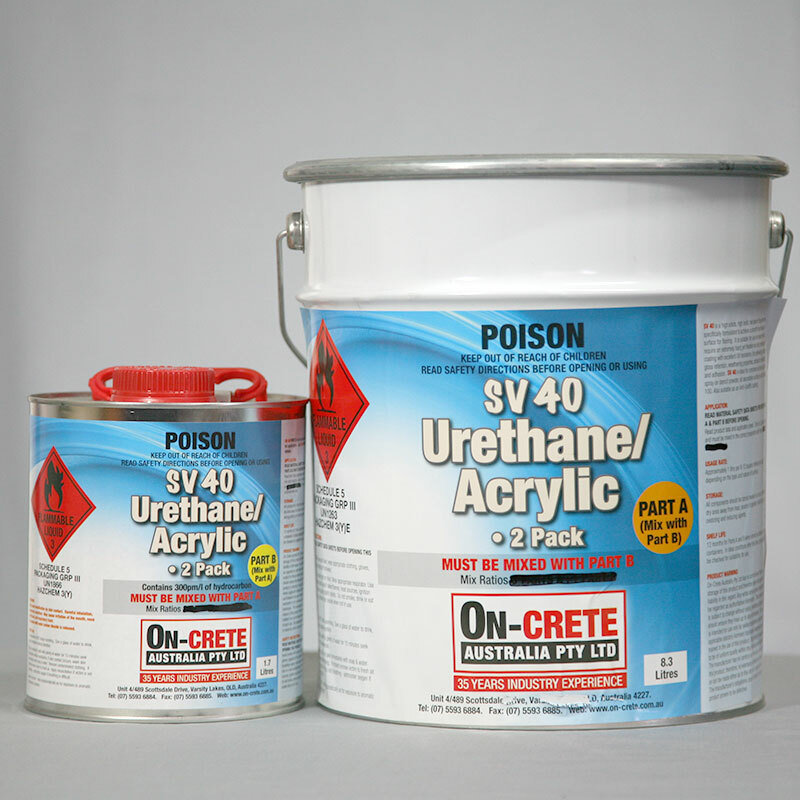 What is SV40 Two Pack Urethane/Acrylic? SV40 is a high solids, high build Two Pack Polyurethane specifically formulated to achieve a smooth, hard wearing surface for concrete and masonry surfaces. It is suitable for use on areas which require an extremely hard, yet flexible protective coating with excellent UV resistance. Retains colour and gloss, weathering properties and abrasion resistance.